Schooling for the past couple of weeks has been sporadic, to say the least. We've been taking turns being sick, and that's just kind of hard to work through, sometimes. 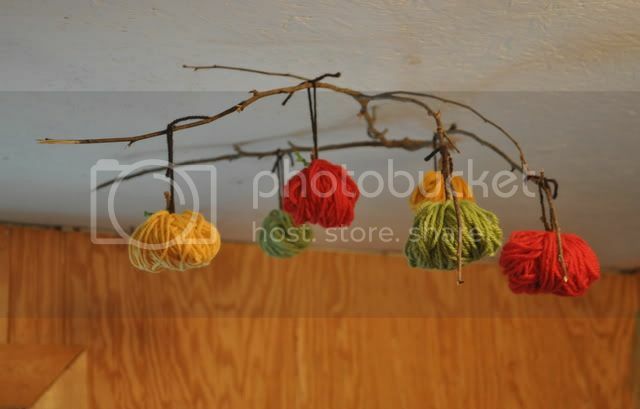 But, we have gotten some seasonal crafting in. Let me just say, I really dig Pinterest! I'm finding so many awesome things to do with the girls. 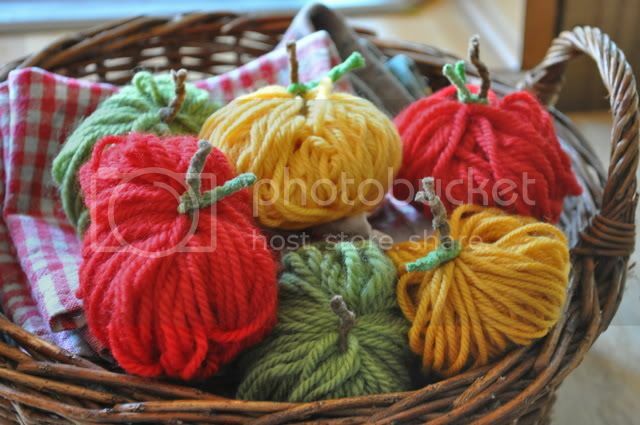 Like these sweet yarn apples. Kaiya and I made these. Zoe wrapped the yarn twice and declared them to be 'too hard!'. They're so not. We made half a dozen and then found a dead branch outside to make our own 'apple tree'. I hung it right over our dining table. 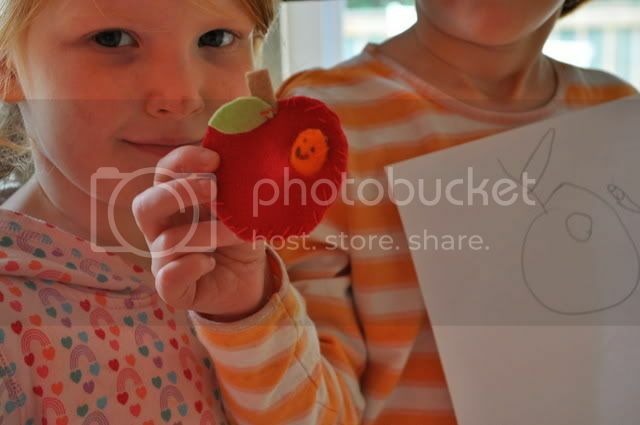 And today I worked with Kaiya on her hand sewing to make this little apple and worm. 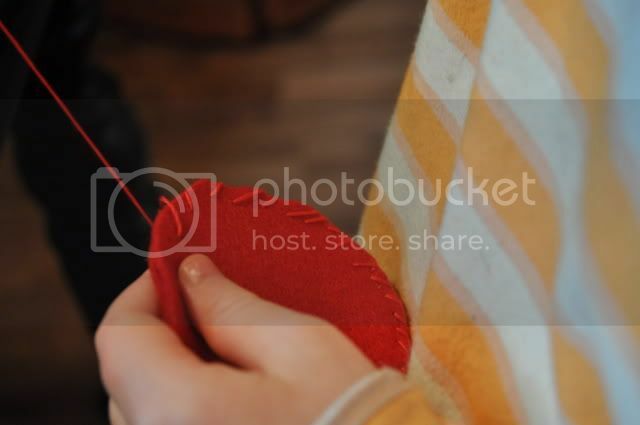 In the tutorial, she cut the hole through both layers and added a flap to the back to keep the worm in. I just cut the hole in the front piece so the worm slips in and out with out going anywhere. 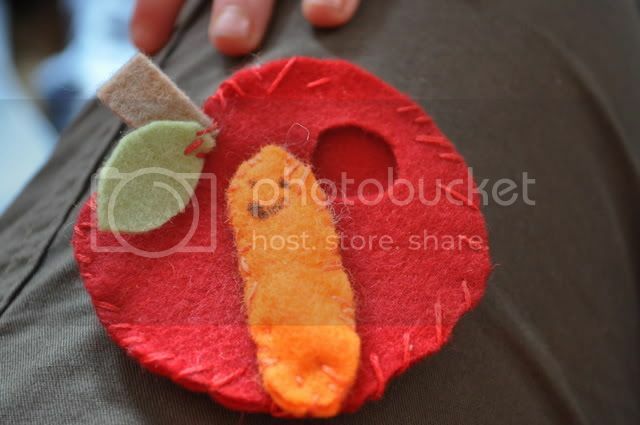 It makes a really cute project for beginning hand sewers and the girls had a lot of fun playing with it. Kaiya made up a silly story about a little girl coming along and finding the wormy apple. I just realized I am two for two on apple posts this week. Unintentional... I swear it! But... just in case you haven't yet entered, check out this week's applicious giveaway.